Joe Blogs: Bringing the house down! 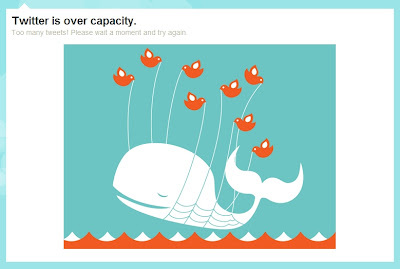 Receiving the '...over capacity' message on Twitter now, hopefully they will have the site back up shortly. I read that they were expecting ten times the usual days traffic today, that is a significant peak and will be interesting to see stats from sites tomorrow after everything has calmed down!